Nearly every community in greater Portland has been facing unprecedented increases in housing costs, housing insecurity, and displacement in recent years. To address this, Metro – greater Portland’s regional government – successfully placed an affordable housing bond measure on the 2018 ballot resulting in $652.8 million in new affordable housing resources. The measure was born out of several years of work on the Equitable Housing Initiative, an effort we led to find innovative approaches that result in more safe, stable, and affordable homes. The framework for the measure includes policies and practices to lead with racial equity, eliminating barriers in accessing affordable housing, anti-displacement strategies, and a requirement for sustained community engagement activities that focus on reaching communities of color and other historically marginalized and low-income groups. Collaborative community engagement with a diverse group of stakeholders was the keystone of the measure. A racial equity lens was used and the community was included in the development of the framework. We held meetings with all three counties and 24 cities within its region and conducted broad public outreach along with our partners, with a total of over 50 engagement activities completed region-wide. Additionally, over three dozen community organizations were involved in developing the measure alongside us. The housing measure was referred by Metro with full chamber support in June 2018. Local officials testified in support, and residents shared their stories of how it will impact their lives. Six months later, voters approved the housing measure securing 59% of the vote. Metro has not historically played a primary role in financing or developing affordable housing, so we are working with 7 local jurisdictions in the region to who will lead the implementation. This is the first known multi-jurisdictional approach to address housing needs regionally. These new resources will provide 3,900 permanently affordable homes serving over 12,000 residents. Just under half of the homes will be affordable to extremely low-income households, half are two-bedrooms or more, and no more than 10% of the funds will be used for homes above 60% of area median income (AMI) with the cap at 80% AMI. We continue to work with stakeholders to discuss strategies for addressing ongoing operating funds to keep rents deeply affordable and supportive services needed by some to maintain stable housing. 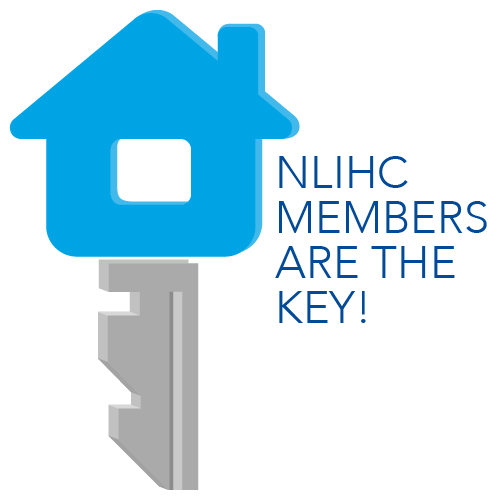 The winner of the 2019 State and Local Organizing Award: Mutual Housing California and the winner of the 2019 Resident Organizing Award: Texas Housers, will receive their awards on March 28 at NLIHC 2019 Housing Policy Forum in Washington, DC.